Spend $120.00 more and get Free Shipping! Crisp on the outside yet rich and dense on the inside, this gluten-free cake makes a great option as a chocolate cake with a unique texture! Storage Conditions: Please keep the cake in a dry cool place. Shelf Life: 2 days from date of delivery. Eating healthier doesn’t need to be boring! The unique Flourless Chocolate Cake recipe is the perfect answer for gluten-free chocolate-lovers! Without the need for flour, chocolate takes centre stage with its natural rich, decadent, chocolatey goodness. This Flourless Chocolate Cake is a great option as a chocolate cake with unique texture – crisp on the outside yet rich and dense on the inside. 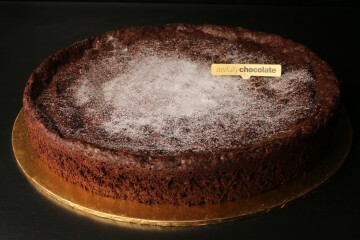 Order your Flourless Chocolate Cake Today! 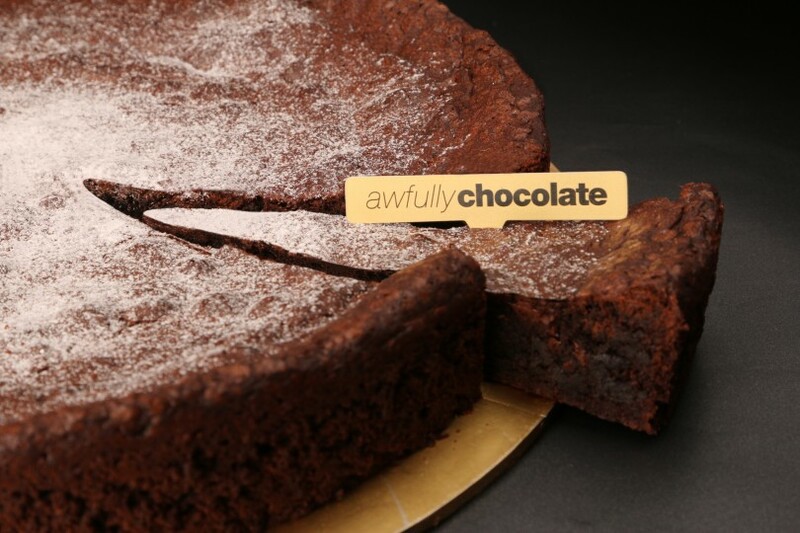 You can now opt to have your Flourless Chocolate Cake delivered or self-collect from your preferred Awfully Chocolate store (click here for store listing), when you purchase online! Indulgence comes in the form of our Nutella Tart. Generous amount of baked nutella layered on top of a dark chocolate cookie crust. 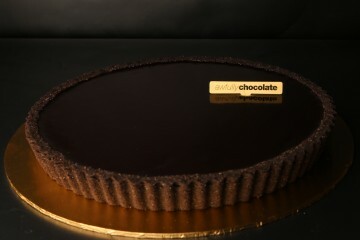 This delicious combination of soft chocolate and crunchy tart is a must-have for any occasion! Full-bodied and chewy, our moreish brownie is layered with handmade butterscotch on top and in the centre, with natural sea salt exalting its salty-sweet finish. An elegant Awfully Chocolate rendition of the classical Italian dessert. Must-have mascarpone cheese and Italian sponge fingers are first soaked in coffee and coffee liqueur Kahlua. Then we add the magic of dark chocolate cake drizzled with coffee, and a hearty layer of chocolate sabayon. It’s the world’s best Chocolate Tiramisu by Awfully Chocolate! The hei ice cream is one of the reasons why our customers are constantly returning back for more! 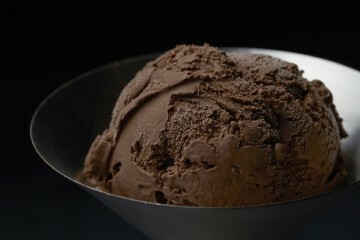 We insist on using only the best belgian chocolate and 100% dutch fresh milk in our icecream. Produced with a low overrun, this ensures that the ice cream gives a rich and dense flavour. 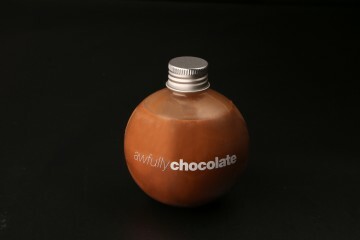 Made from cocoa, Awfully Chocolate Milk boast a rich and thick chocolate flavour, guaranteed to satisfy any chocolate lovers out there! Sign up for our newsletter to receive the latest promotions and updates!